There’s something uncannily familiar about Russia’s propaganda antics over the poisoning of double agent Sergei Skripal in Britain. We’ve seen them before in Syria where Russia has steadfastly defended the Assad regime against accusations of using chemical weapons. Right from the start, there was little doubt about what had happened: videos of those affected showed classic symptoms of nerve agent poisoning. Within a month, UN inspectors confirmed the worst: the environmental, chemical and medical samples they had collected provided “clear and convincing evidence that surface-to-surface rockets containing the nerve agent sarin” had been used in Ghouta. Given that these deaths and injuries occurred in rebel-held areas that were under attack from Syrian government forces and that the government had previously admitted possessing chemical weapons, there was one very obvious suspect. But Russia had other ideas. Its first response was to question whether anything untoward had actually happened. On the day of the attack, an article posted on the Russia’s RT website described the reports as “fishy” and claimed that international media had simply “picked up” the story from al-Arabiya, a Saudi TV channel which was “not a neutral in the Syrian conflict”. Meanwhile, Russia’s foreign ministry spokesman, Aleksandr Lukashevich, hovered between denying an attack had taken place and claiming it had been staged (or perhaps faked) by anti-Assad forces. He talked about an “alleged” attack and a “so-called” attack while asserting that “materials of the incident and accusations against government troops” had been posted on the internet several hours in advance. “Thus, it was a pre-planned action,” he said. Lukashevich’s argument had actually been cribbed from conspiracy theorists on the internet, but without checking properly. Reuters’ report of the attack and some of the videos did appear to have been posted before the attack took place but that was simply the result of automated time-stamping in a different time zone. Following publication of the UN inspectors’ report, Russian foreign minister Sergei Lavrov acknowledged that it showed chemical weapons had been used but said it offered no proof that Assad’s forces were to blame. This implied the inspectors had failed to reach a conclusion about who was responsible but the terms of reference set by the UN had not allowed them to apportion blame. Lavrov went on to say that Russia still suspected rebel forces were behind the attack and that the UN report failed to answer a number of questions, including whether the weapons were produced in a factory or “home-made”. He added that the UN report should be examined not in isolation but along with evidence from sources such as the internet and other media, including accounts from “nuns at a nearby convent” and a journalist who had spoken to rebels. The questions Lavrov raised – about home-made sarin, the nuns in the convent and the journalist who had spoken to rebels – looked suspiciously like a diversionary tactic, and that is what they were. They didn’t withstand serious scrutiny but in propaganda terms they didn’t need to. The point was not to persuade people of anything in particular – which was one reason why many people had difficulty recognising it as propaganda. The slogan of RT is “Question More”, and its purpose is exactly that: to ask lots of questions, not in the hope of getting closer to the truth but in order to sow as much doubt as possible. This doesn’t require real evidence and it doesn’t matter if some of the “alternative” theories promoted are mutually contradictory or purely speculative, so long as there are plenty of them. If the result is that people become so confused they are unsure what to believe the propaganda can be considered a success. Russia’s propagandists also have a symbiotic relationship with conspiracy websites in the west which not only re-circulate and amplify the theories but sometimes generate them in the first place. Fast-forward to March 2018 and the English city of Salisbury where Sergei Skripal and his daughter, Yulia, were poisoned. As with Syria in 2013, there was one rather obvious suspect. The Skripals were Russian. Sergei had been a double agent in the murky world of espionage, and as far as Russia was concerned had betrayed his country. Over the last 40 years a number of mysterious deaths in Britain have been linked to Russia or its predecessor, the Soviet Union. At least two of those involved murder by exotic means – Georgi Markov in 1978, stabbed with a ricin-tipped umbrella, and Alexander Litvinenko in 2006 who was killed with radioactive polonium. There have been other cases too, outside Britain. Sergei and Yulia Skripal were found on a park bench “reportedly exhibiting symptoms similar to a drug overdose” according to Russia’s RT. Another RT article suggested they might be drug users. “The highly addictive synthetic opiate has been linked to a sharp increase in overdoses in the US and has also resulted in dozens of deaths across the UK. The drug has repeatedly made headlines as part of the so-called ‘opioid crisis’, especially after famous American singer/songwriter Prince died from an accidental overdose of fentanyl in April 2016. Since then, the Russians have moved on from trying to deny that a nerve agent attack took place, as they did in Syria over sarin. They are now promoting multiple “false flag” theories – as they also did in Syria over sarin. Daft as the theories might be, in Syria’s case they found some vocal supporters in the west – and the same thing seems to be happening now with the Skripal affair. 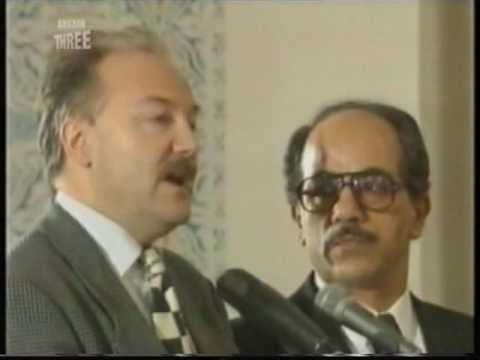 “I think this will go down with the Gulf of Tonkin incident as one of the great hoaxes, with the most serious implications in all of history,” former British MP George Galloway told Sputnik Radio’s listeners. With Syria, the main false flag theory was that rebels attacked themselves with sarin to create the pretext for a large-scale military intervention by western powers against the Assad regime. This was also linked to the dubious claim that western powers had spent years plotting “regime change” in Syria. Despite two confirmed sarin attacks, however, western powers have still not responded in the way the theory has been predicting. With the Skripal affair, Russia is strongly suggesting a false flag operation carried out by the British government but is unclear about its exact purpose. Galloway, who became notorious for his tribute to Saddam Hussein in 1994, suggested it might have something to do with Putin’s re-election or the World Cup (which is due to be held in Russia this summer). The Russian foreign ministry also appears to favour a World Cup connection: the British are “unable to forgive” Russia for winning the right to host this summer’s contest. More vaguely, Sputnik quotes Helga Zepp-LaRouche – leader of the German Bürgerrechtsbewegung Solidarität party and wife of the controversial American, Lyndon LaRouche – as blaming British intelligence for “fabricating another Litvinenko case as a pretext for another anti-Russia escalation”. It’s unclear why Sputnik regards her as an authority on the matter. While mainly trying to direct suspicion towards Britain, the Russians are also speculating that some other country might be the culprit – almost any country apart from Russia. According to a former Kremlin adviser quoted by Sputnik News, “every laboratory in the west including Porton Down which is only seven miles away from Salisbury, has a sample” and there are “are rouge agents of a different nation that have gotten access to this particular nerve agent”. The mention of “rouge” (rogue) agents may be intended as a reference to Ukraine. These ideas have already acquired some resonance at the further ends of the political spectrum (both left and right) in the west. Look on Twitter and you will find that many of those adopting them have previously been active in questioning the Assad regime’s sarin use. Not surprisingly, there have been calls to cancel RT’s television broadcasting licence in Britain – which would probably be a mistake. RT would have a field day complaining about being victimised, and blocking its TV output would have little practical effect. RT would still be able to function online, which in some ways may be more important because its propaganda is often circulated in the form of YouTube videos. No matter what anyone does to try and stop it, though, propaganda will always exist. The important thing is to recognise it for what it is, and not to be fooled by it.